My husband and I are currently serving as Senior Missionaries in the Florida, Tallahassee Mission. Our assigned area is called Fort Walton Beach. We are working hard to try to make the world a better place for as many as we can. Some of our BELOVED new friends. 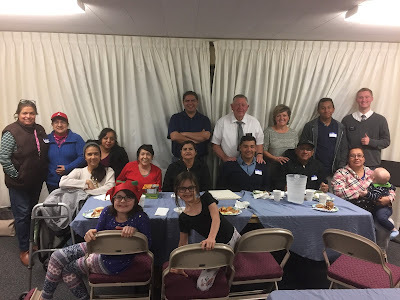 We're doing some humanitarian work, service, feeding people, monthly outreach newsletter for the hispanics in our area, repairing some homes and trailers (my husband was a contractor for many years) and teaching FREE English classes several nights a week. Our students (whom we LOVE) are from Honduras, Columbia, Spain, Venezuela, Mexico, El Salvador and Brazil. We hope to be able to continue this program that we started just over a month ago. Anyway, I haven't blogged on here for a while but will try to do better. I am also posting from time to time on our missionary blog (our adventures) at On His Errand. Feel free to join us there if you'd like. 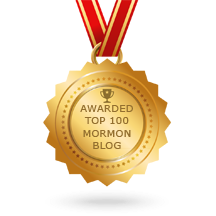 But, I was recently named in the top 100 Mormon Blogs online on a new site called FEEDSPOT. It looks like it is going to be a great place for like-minded people to interact and for all of us to find the best places to find others who are trying to use social media for it's revealed purposes; that of blessing the lives of others.